A pretty little plant, with a rather hairy, reddish stem, from four to twelve inches tall, glossy, dark-grccn leaves, paler and downy on the under side, and flowers abcut half an inch across, cream-white, tinged with purple or blue on the outside; the akenes very woolly. This reaches an altitude of ten thousand five hundred feet, growing in the East and in Asia and is the smallest of the mountain Anemones. Northern Anemone-Aparviflora Three-leaved Anemone A.deltoidea. BUTTERCUP FAMILY. 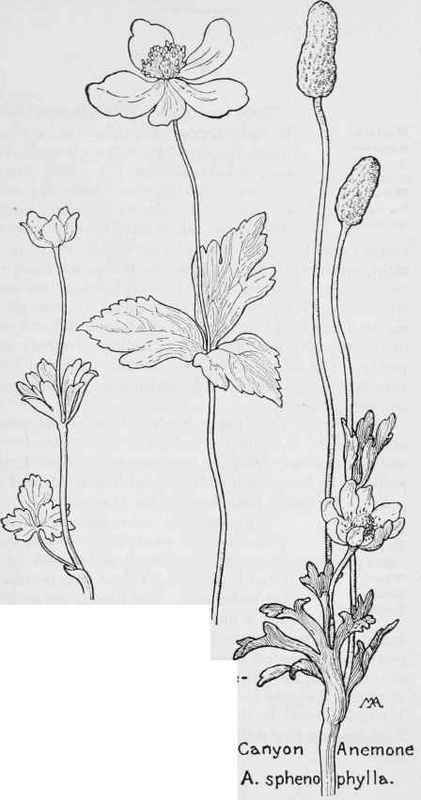 Ranunculaceae.